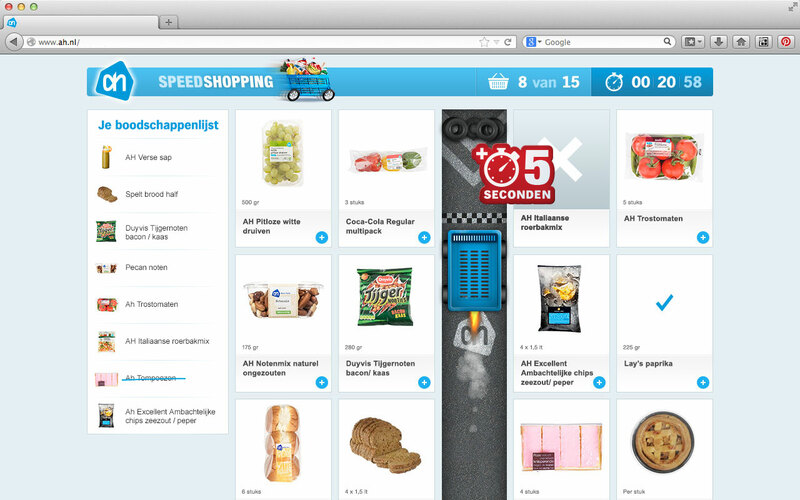 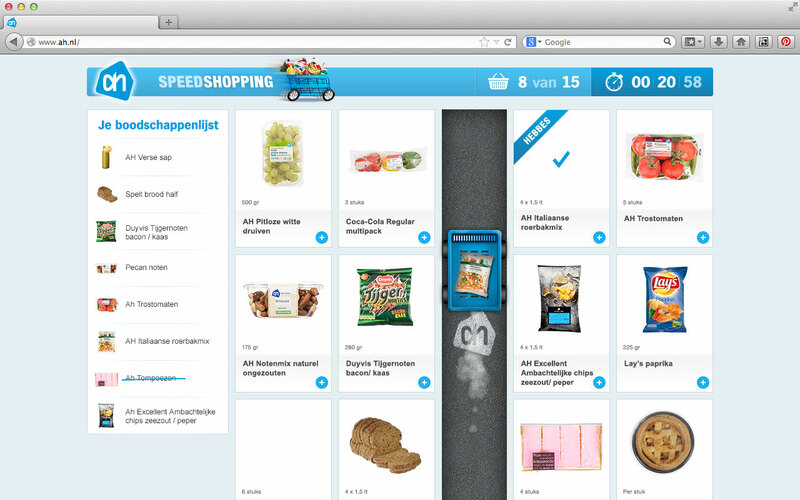 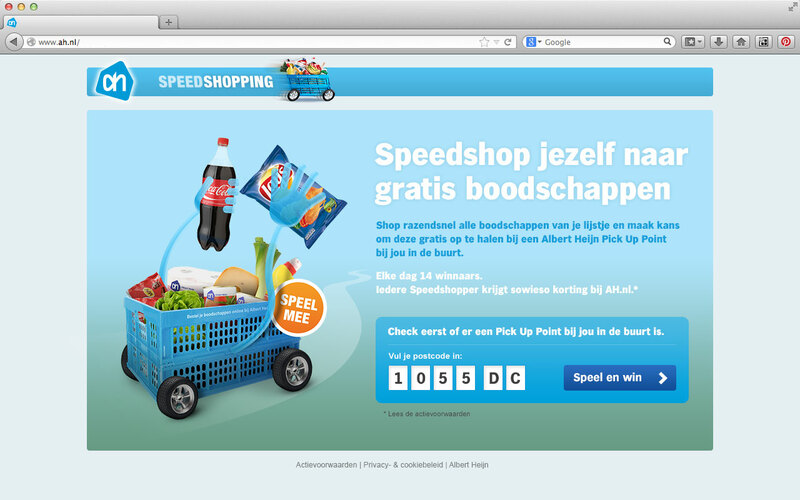 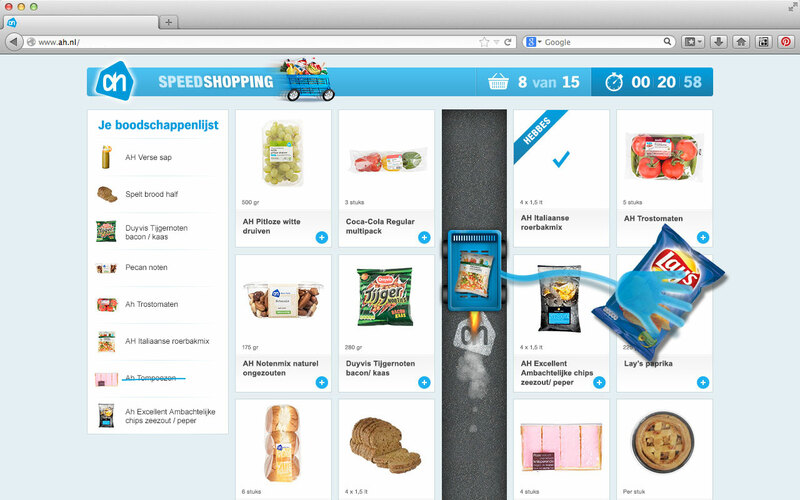 Albert Heijn would like to show people the benefits of their Pick Up Points. 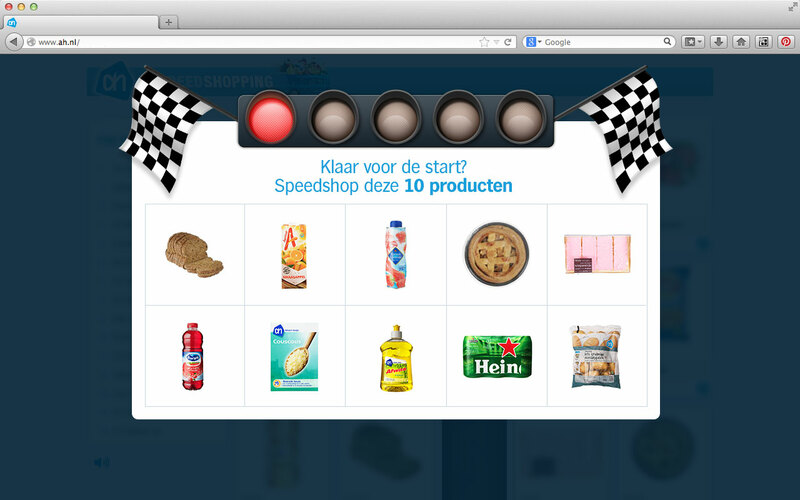 Collect as fast as possible 10 products from a shoppinglist, that’s where this game is all about. 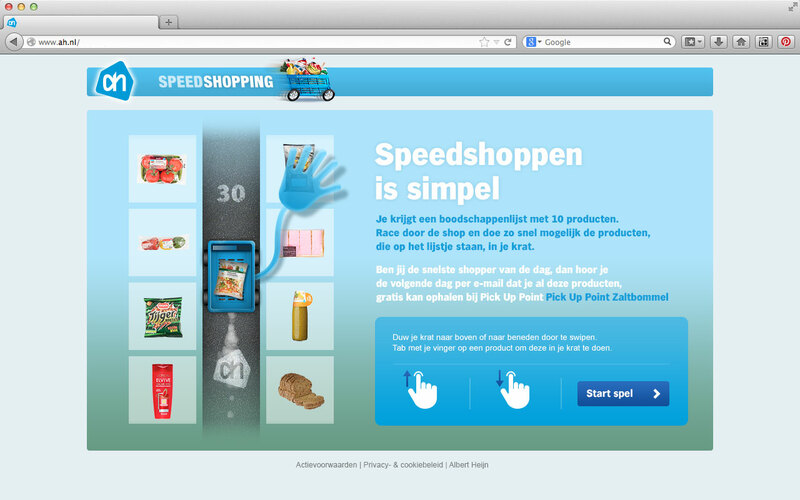 Each day for three weeks long, 15 players who finish the most quick will win the products they collected in the game and 5 products they can choose themselves. 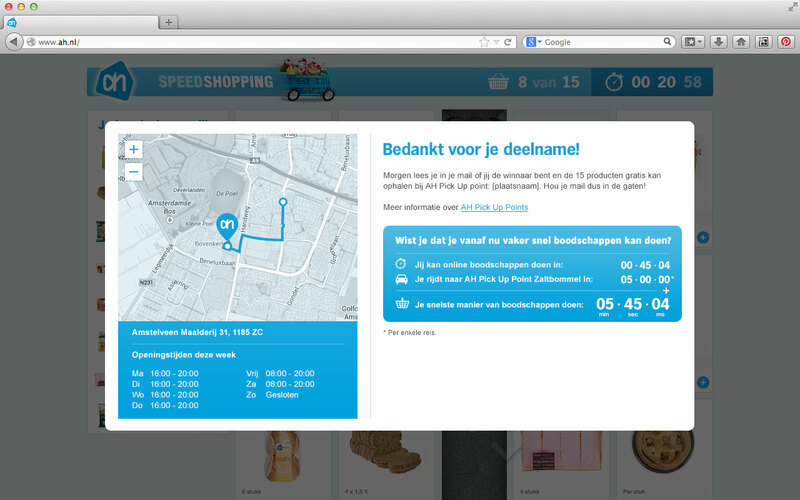 Of course they can pick this up at their nearest Pick Up Point. 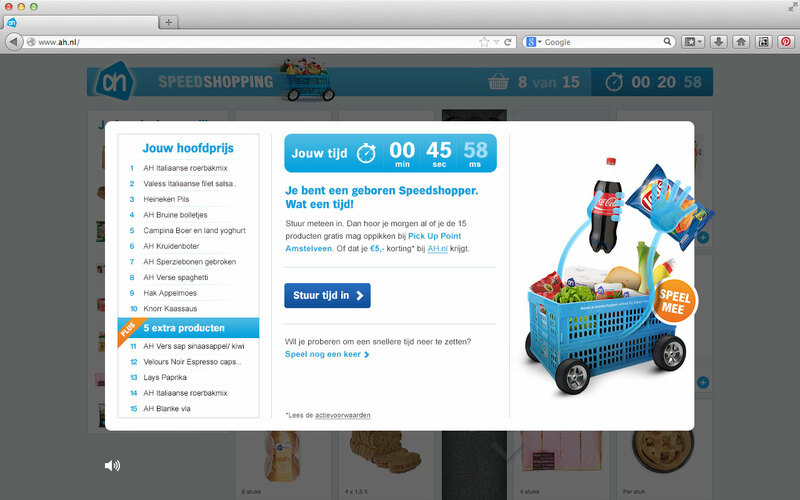 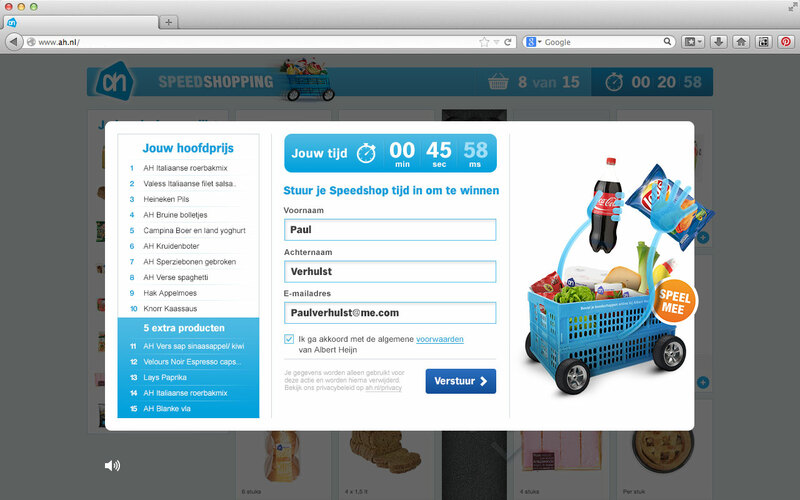 Everyone wins, because participants who didn’t win got a coupon which they could spend on AlbertHeijn.nl.